Spotos is a renowned oyster bar and seafood center that serves fresh shucked, blue point oysters and the famous oyster stew. Apart from these, they are also specialized in serving delicious yellowtail snapper garnished with sweet and caramelized onions; sesame yellow-fined tunas, New Orleans styled crabcakes and even bouillabaisse. The restaurant features a friendly and attractive Bluepoint Lounge and Oyeater Bar. They serve delicious food in their menus for lunch and dinner. They include salads, oysters, chowders, soup, stews and gumbo, fish, pasta and even sandwiches. Among the list of wines, the restaurant serves reds, merlots, cabernet sauvignon, chardonnay, meritage and other alluring drinks. The restaurant also has other arrangements of cocktails and spirits that include coffee, cappuccinos, bottled beer, cordials, single-malt scotches, etc. 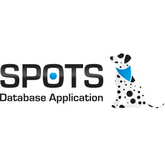 There are currently 0 consumer reviews about Spotos available. Share your review. Please take a note that you are about to post a public review about Spotos corporate office on CorporateOffice.com. This review will be public, so please do not post any of your personal information on this website. If you would like to contact the corporate offices of Spotos, please use their contact information such as their phone number, website, and address listed above to contact them. However, sometimes staff from Spotos headquarters do read the reviews on this website.